Herbal tea is simply the combination of boiling water and dried fruit, flower, root, seed, and/or herb. 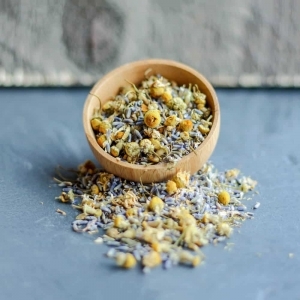 Herbals usually offer a wide selection of caffeine-free teas in many different flavors, from fruity indulgences to wellness blends with amazing benefits! Blueberries combined with hibiscus, rose hips, apple, caramel and blue mallow blossom make for a wonderful relaxing cup of enjoyment! Use this delightful herb alone to calm you stomach, mind and skin! 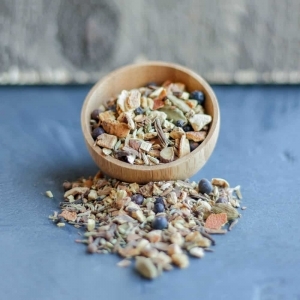 Our newest herbal blend is the support you might need in making it a great day! Sunny Disposition was blended with the intent of well being and is a beautiful melody of fruits, herbs and florals which we hope gives you a radiating and cheerful point of view.